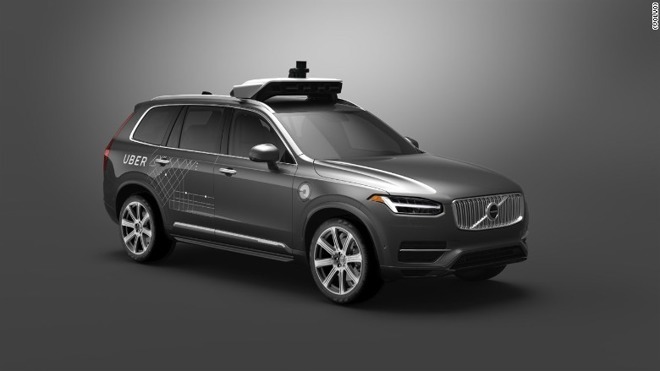 Following the death late Sunday of a woman who was struck and killed by a self-driving Uber car in Arizona, we now know more about the circumstances of the tragedy, which has a chance to shake public trust in autonomous car technology. The deceased has been identified as Elaine Herzberg, 49, and according to police at a press conference Monday, she was walking her bicycle outside of the crosswalk while crossing the street in Temple, Ariz. According to a San Francisco Chronicle report Tuesday, the collision took place after Herzberg "abruptly walked from a center median into a lane of traffic." Sylvia Moir, Temple's police chief, told the Chronicle that, having viewed videos from the car's cameras, "it's very clear it would have been difficult to avoid this collision in any kind of mode (autonomous or human-driven) based on how she came from the shadows right into the roadway." Moir went on to predict that for that reason, Uber would be unlikely to be found at fault for the crash, although she wouldn't rule out charges against the car's test driver. Uber, however, announced Monday that it was pulling testing of self-driving cars, effective immediately. The tragedy is the first known pedestrian fatality involving a self-driving car, although a test driver for Tesla's autopilot technology was killed in June of 2016. Uber's self-driving cars had driven 2 million miles of testing, as of December, and one million of those had been driven in the previous 100 days, Forbes reported at the time. So Uber's self-driving cars have now recorded one fatality in around 3 million miles, whereas the current U.S. rate is 1.16 people for every 100 million miles driven, according to figures reported by Wired. Apple is ramping up its own self-driving car initiative, with up to 45 such cars on the road in California, the Financial Times reported Tuesday. It's unclear whether the fatality in Arizona will impact those plans in any way.